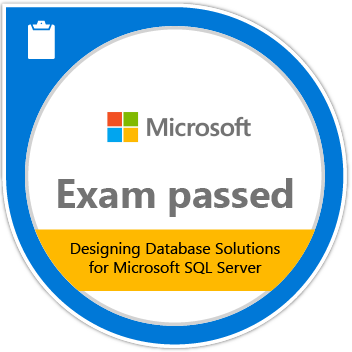 Passing Exam 465: Designing Database Solutions for Microsoft SQL Server validates the skills and knowledge necessary to design and build database solutions in the organization. Candidates demonstrate the ability to design databases and their structures, objects, and security. Earners of this badge are also able to design troubleshooting and optimization solutions.